It’s R.I.P. to Shea Moisture’s mentions after controversial ads for the brand’s new #EverybodyGetsLove campaign dropped recently. 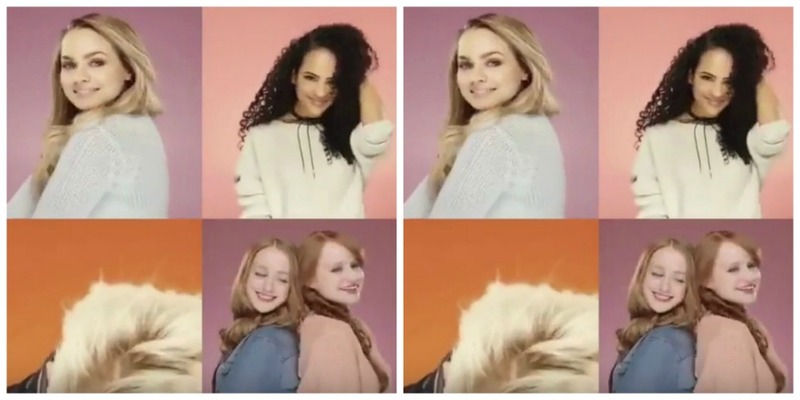 In the latest commercial (see below), four young women — only one of whom is Black — discuss how they’ve experienced “hair hate.” As you can imagine, the Black woman is the only one expressing that she’s experienced actual hate from others about the way her hair looks because, you know, European beauty standards. The other women (all white) just talk about having bad hair days sometimes and wishing their hair was another color. Meanwhile, Black girls all over the world are being kicked out of school for rockin’ afro puffs, dreadlocks, and generally wearing their hair how it naturally grows out of their head. Natural hair styles have even been banned from some workplaces. But, we should get all up in our feelings because someone else wished she was blonde or just “didn’t know what to do with” her hair? Girl, bye. We can understand brands wanting to expand, but not at the expense of the market they initially launched to create products for. Black women have supported and gave free press to Shea Moisture for YEARS. And then they have a "hair hate" commercial with white women? What do you think about the new commercial (and this longer version, which added one more Black person in the mix)? Will you continue to use Shea Moisture or switch to another product? Shea Moisture releases statement about its commercial and the social media backlash. Thoughts?